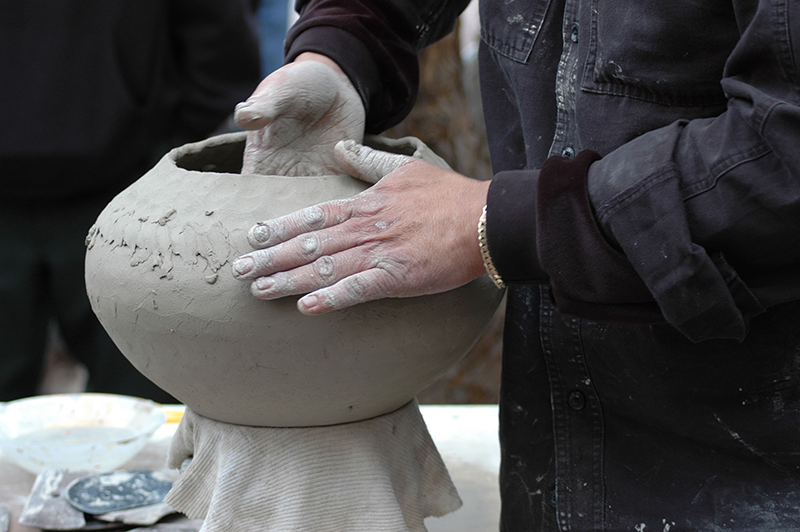 Stop by the Loggia between the HOME and Jacobson galleries for these fascinating Native artist demonstrations, each between 11 a.m. and 3 p.m.
Tuesday, Jan. 27: Kevin Stevens shares his work with Quechan style pottery. Thursday, Jan. 29: Yolanda Hart Stevens shares her Quechan-style beadwork which merges colorful beads with traditional pottery. Friday, Jan. 30: Enjoy watching Bernice Monte as she shows how her O’odham baskets are made with materials from the desert.